Kailash Tour via Lhasa is planned for those travellers who plan to visit holy Mount Kailash and sacred Lake Mansarovar via Lhasa and visit together cultural heart of Tibet. 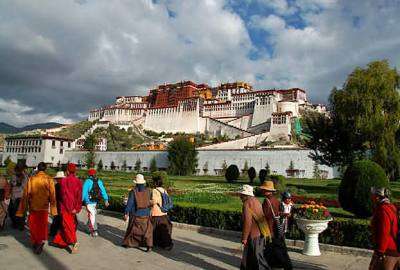 In Lhasa guided tour rewards you to explore main highlight of Lhasa including popular Potala Place, Sera Monastery, Jokhang Temple, Norbulingka – the summer place of Dalai Lama and Tibetan traditional Bharkhor market. Probably it is the best way for acclimatization halt day for further safe journey to the almighty holy Kailash and Mansarovar Heavenly Lake. After this outstanding tour in Lhasa city onward tour will be commenced passing via various cultural prosperous towns of nomad land. 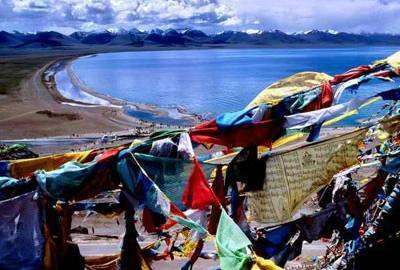 Lhasa Kailash Tour follows long days of overland journey you will arrive at shore of beautiful Mansarovar Lake and there you will halt a day to explore surrounding wonders. After enjoying awe-inspiring day at Mansarovar Lake, further KORA (circuit) will be started. All together three days of challenging hike will bless you as an ultimate journey of lifetime to be enlightened. Then our overland journey again continues towards the borderland of Nepal – Tibet to end the trip. 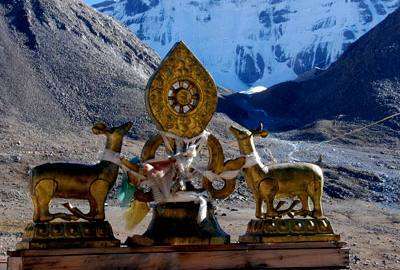 A visit to Mount Kailash Tour via Lhaasa exploration visit of chief highlighted sites of Tibet’s Lhasa city first including popular Potala Palace, Sera Monastery, Jokhang Temple, Norbulingka - the summer palace of Dalai Lama and Tibetan traditional Bharkhor market. 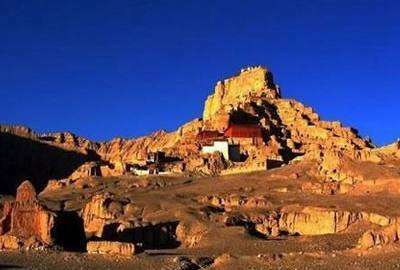 Continues holy adventure journey in roof of the world- pilgrimage travelers will be encountering new cultural destinations day by day. Time to time views follow extremely beautiful landscape with glimpse of holy Mountain Kailash and many other nearby peaks. 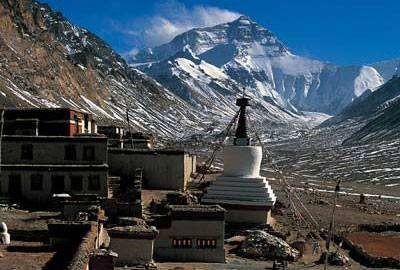 Mt Kailash Tour via Lhasa also takes exploration visit to Manasarovar Lake and Rakshas Tal and three days holy KORA. Day 12: End of Kailash Parikrama and drive to Manasarovar. Day 01 :Arrival at Kathmandu (1300 m Arrival in Kathmandu, our representative will pick up you from the airport and transfer to Hotel. Evening briefing and trip preparation. Overnight at Hotel. Day 03 :Fly Lhasa (1 Hrs. flight – 3650m) Drop you to International airport for your flight to Lhasa. It is scenic 1 hour flight over Nepal Himalayas. Our representative from Lhasa will pick up you. Transfer to Hotel and acclimatization rest. Day 04 :Lhasa sightseeing Tibetan guide will lead you today in Lhasa city sightseeing. we will see the main relics of Lhasa - Potala palace, Norbulinka, the first Buddhist’s temple of Tibet – Dzhokang, a statue of Dzhovo Shakjamuni. Overnight at Hotel. Day 05 :Drive Shigatse (3800m) 270 KM – 5/6 Hours Drive to Shigatse from Lhasa. Shigatse is the second biggest town of Tibet. View of Yamdrok Lake from on the way driving is highlight today. Day 06 :Drive to Lhatse (Altitude 4050 m.) 151 KM – 4/5 hours Morning visit Tasilampo Monastery. The journey today brings you over two high passes with fine views of Himalayas. For overnight we stop in the town of Lhatse. Hotel. Day 08 :Drive to Manasarover (4558m) 277km 4 hours Driving day starts with full of excitement, by the late afternoon you can have the first sight of Holy Kailash Parbat and Manasarovara. Hore, a small village nearby Lake Manasarover, we will spend a night there. Mud House. Day 09 :Drive to Darchen Morning Exploration of Lake Manasarovar and drive to Tarchen (4575m) 40km- 1 Hours: Manasarovara is the lake of compassion, tranquility and bliss. After completing the memorable morning, we will be heading towards Tarchen. 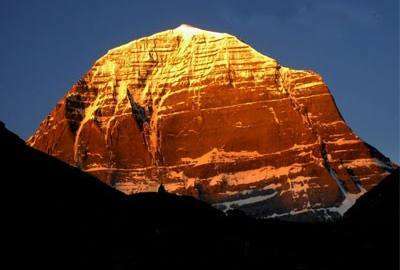 It is considered as a base camp for the Holy Kailash. Day 10 :First day of Kailash round (Parikrama) Trek to Dera-Puk (5000m) 15 Km 6 Hours It is one of the exciting days walking along the beautiful rocky cliffs; waterfalls with some clouds in the clear blue sky make you feeling that Great God Shiva is everywhere with tons of blessing to you. Time to time the face of Kailash Parbat will keep on appearing. For 15 km trail takes almost 7 hrs. Overnight at Guest house. Day 12 :End of Kailash Parikrama and drive to Manasarovar. After 3 hours of walking in flat land, we reach at near darchen and catch our transportation. Drive back to Manasarovar via Darchen. Day 14 :to 15: Drive to Nyalam - Kathmandu Drive back to Nyalam from Saga and Kathmandu. Wilderness Excursion will pick you from Nepal - China friendship bridge in the border and transfer to your selected hotel. Permits for Lake Manasarovar and Kailash round (Parikrama). Tibet Tourism Board (TTB) approved Tibetan guide. Tips and graditudes for your guide and support staffs. Extra days stay at Kathmandu / any other place. The extra charge for porters and transportation should be borne by you at the spot.